Always be extra early when being interviewed for a job. Make sure you have plenty of time to find parking, find the correct office, and take a few moments to calm yourself beforehand. Even if the interview site is nearby, leave your house extra early, it will be just the day when a car accident causes a massive traffic jam on the highway. Always look your best. It is important that you convey an image of professionalism to your potential employer. Always set the bar high, no matter how other people at the company dress. You want to appear well rested, put-together, and ready to take on new challenges. Handing in a perfected resume at an interview is standard practice. However, when the competition is stiff, applicants must try to stand out. When leaving, thank the interviewer for meeting with you and hand them a business card or customized pen with your name and contact information. Having business cards or customized pens is a small step that can make a big difference. Be as knowledgeable as possible when you go into your interview. It is important that you seem interested in the company and the position. Read about the company on its web site and in business magazines. Once the interview is over, don’t sit back and wait for someone to contact you. It is important that you send thank you cards to everyone who interviewed you. 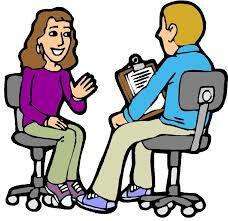 This is also your opportunity to clarify or rectify any weak points in you interview. Send the thank you cards as soon as possible. Always have questions for your interviewer prepared. The questions you ask are just as important as the questions you answer. Thoughtful questions demonstrate an interest in the company and the position, as well as an eagerness to learn. Be positive! Even though you may be nervous, show confidence. You have worked hard to prepare for this interview. This is a time for you to have a discussion about your attributes. Emphasize your good points. If your weaknesses should arise, don’t panic. Simply explain your willingness to improve. Log in | 29 queries. 0.103 seconds.